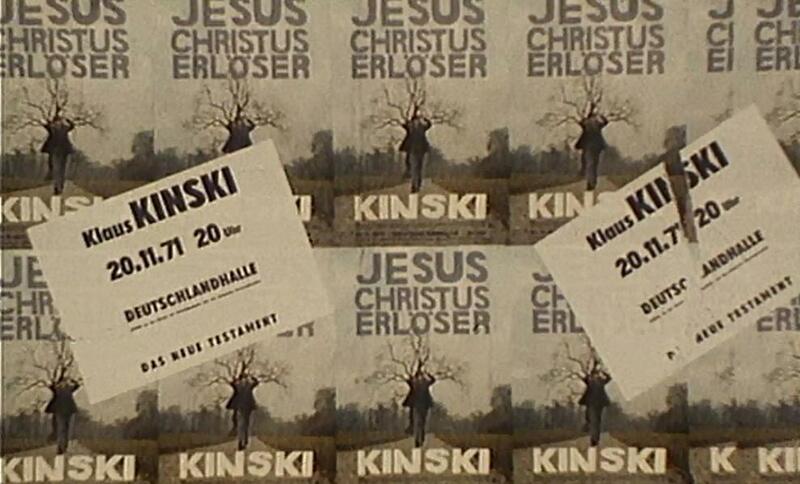 DDS: I understand that you were appointed the archivist / administrator of Klaus Kinski’s Estate in 1999 and that since then you have worked on the official Kinski Estate releases, such as the DVDs – most notably Jesus Christus Erlöser, which was a major achievement, and the Kinski Talks DVDs – plus the book of Klaus’ poetry Fieber, the Suhrkamp BasisBiographie and a vast number of the literary audio recordings. How did your appointment come about? PG: I’ve been working for a German phenomenon named Loriot for over 18 years. In terms of his sense of humor, he would best be compared to Monty Python. Although he has an absolute cult status here, he is not known outside of Germany quite obviously due to the language barrier. In early 1999, I was googling copyright violations on the internet- actually it was with Fireball, Google didn’t exist yet. And it was then that I found an online auction catalogue, which was selling original hand written and typed poems by Kinski. I saw the potential danger of these originals ending up in a private collection, bought them myself and got in touch with the heirs in order to make the poems accessible to everyone. That is how my involvement with the Estate of Klaus Kinski began. DDS: Were you already an admirer of Klaus Kinski’s work? PG: No, I have always been a great admirer of film as an art form. This can be said of only a small percentage of Kinski’s films. But I always loved the two vinyl albums I had of Kinski in my youth, especially his Nietzsche recitations which are quite extraordinary. 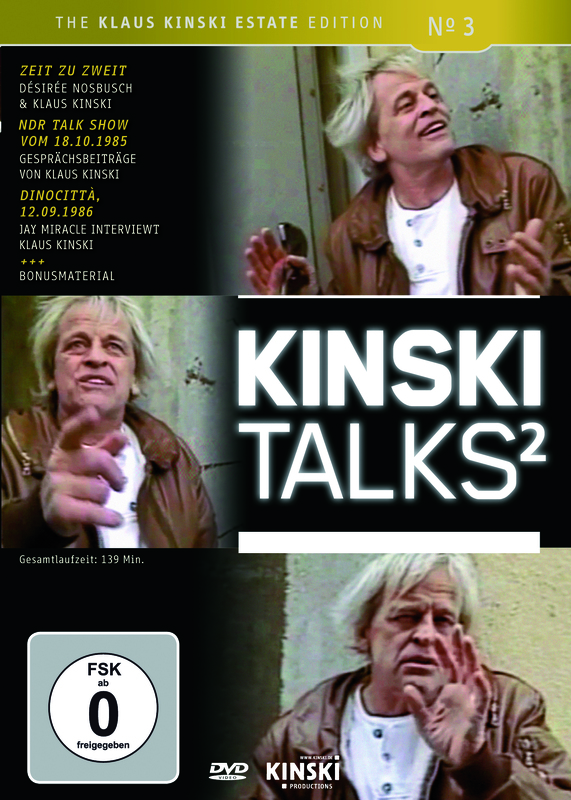 DDS: With regards to the Kinski Talks DVDs how do you select the shows to include? PG: I would have liked to be able to release them all. This will never happen though since the TV stations involved are in the habit of asking for a lot of money for even only 5 minutes of bonus material for a DVD. You can’t explain to them that it’s a different situation when a DVD is entirely made up of bonus material. But many of them insist on their normal per minute price, which is about 5 times more expensive than buying the rights to an average feature film. This is n ot affordable, particularly for a project that isn’t planned for mass production. So I try to release the ones which are made available to me. What’s really grotesque is that the TV stations themselves wouldn’t be able to market these interviews for a DVD without my OK due to Kinski’s intellectual property rights. I would have also loved to add English subtitles for example, but this too is hindered by burocracy since I would have to buy the international distribution rights in order to do so. No one realizes that I could potentially open a new market for their material, such as international TV distribution. It is definitely a shame that these interviews cannot yet be understood by an international audience. DDS: Or is it just a case that they are so few and far between that there is not much for you to choose from? 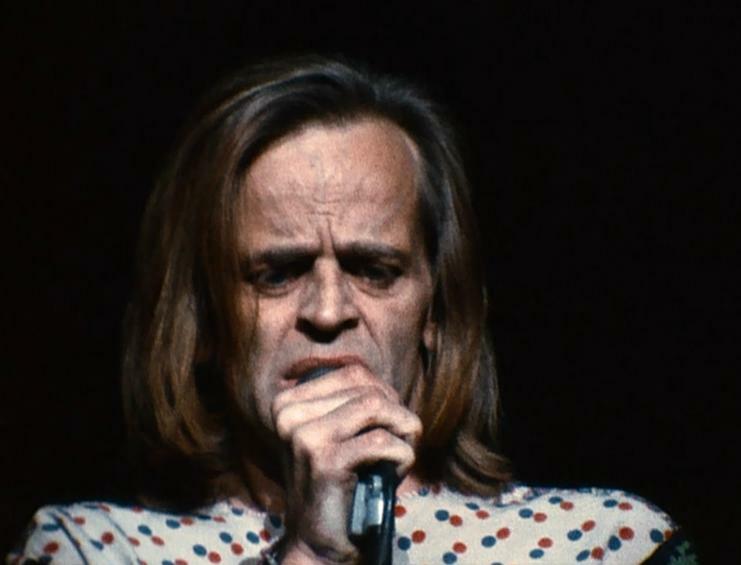 PG: Aside from the unaffordable interviews, my research has uncovered enough for a “Kinski Talks 3”. But that would really be it. In addition, I have not yet discussed the details with the responsible channels and I can’t comment on how realistic they will be. DDS: Is this why you have selected interviews to release as they are amongst a small number and provide an insight into Klaus Kinski the man? Are there any great interviews that you have been unable to obtain the rights for? PG: Every interview gives an insight into the person who is interviewed. Luckily, none of the interviews which were made inaccessible contain any major revelations about Kinski. One interview is truly a shame though, as it’s not due to a TV station and it isn’t a matter of money as far as I can tell. It’s a quite wonderful and very long interview with Werner Herzog and Kinski together, a release of which has been denied by his office. If there will be a “Kinski Talks 3”, I would at least show Kinski’s part of this interview although I would have to cut out Herzog to respect his wishes. DDS: I understand that Klaus did not like to do interviews – did he not like talking about himself? I’ve only seen a few interviews because my understanding of spoken German is not as good as written, but it seems to me that whenever Klaus gets angry during interviews it’s because he is offended by the line of questioning – it’s strange because Jay Miracle says that with his interview (https://locotigrero.wordpress.com/2011/04/04/an-interview-with-klauskinski-45minutes-film-maker-jay-miracle/), Klaus started talking and just did not want to stop but it seems that he felt very comfortable with Jay and maybe that is why? 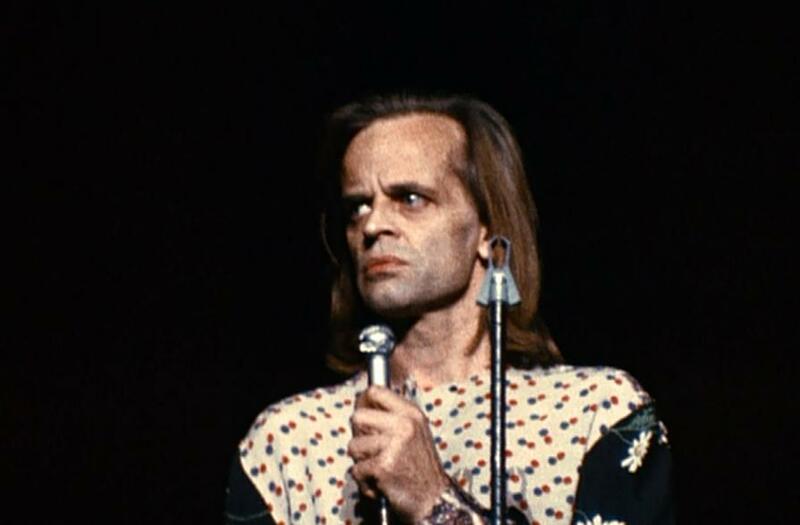 PG: Jay was absolutely right, Kinski loved to talk in monologue form. His interview problem can be traced back to his beginnings. When he started his theater career in the late 1940’s, everyone praised his talent, but the critics and theater directors alike, all criticized his inability to work with an ensemble. He refused to do so, but was able to make a name for himself with staged recitations and with self orchestrated scandals in the press. It worked, Kinski did not have to learn teamwork or subordination in order to have success. But fears one avoids instead of confronting will always remain. 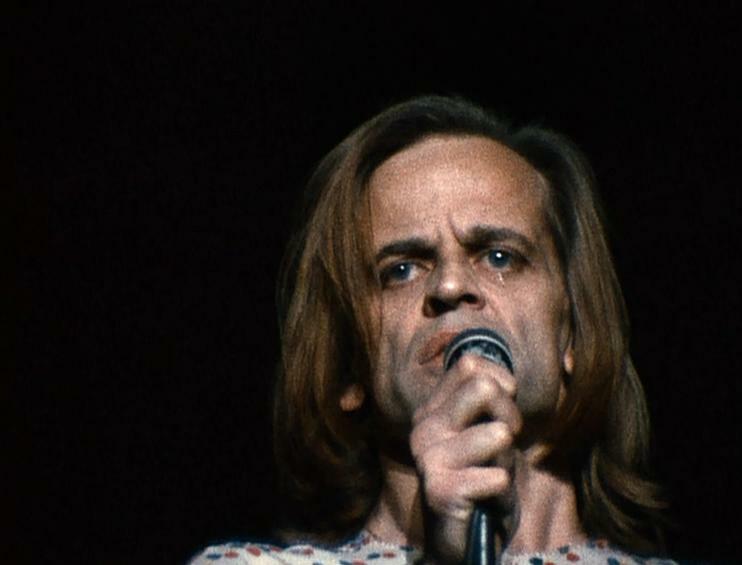 Kinski never dealt with his fear of being told what to do by directors or critics and from journalists he always expected some form of critique. That’s why it also took Jay so long before Kinski felt comfortable enough that he would not be criticized or judged. DDS: What plans do you have for future Kinski Estate releases? 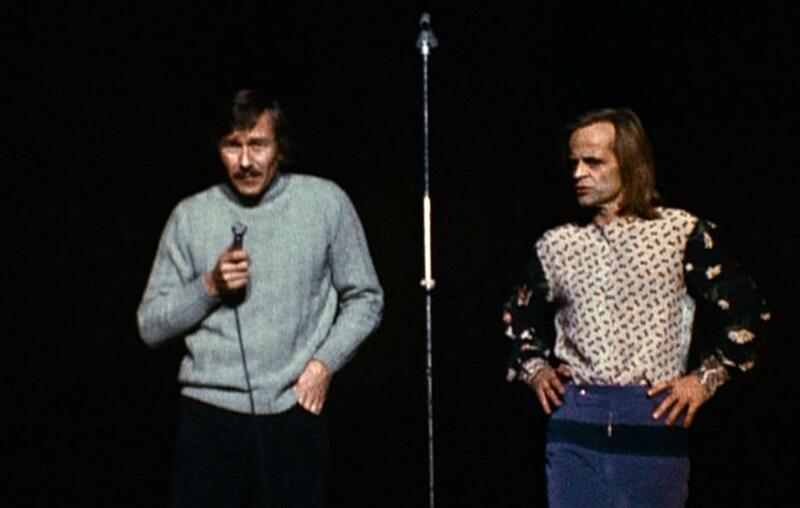 Is there anything coming up for release shortly – aside from the Kinski Talks 2 DVD – that you can tell me about? Do you have access to lots of archive materials or do you have to source them? PG: I don’t like speaking about unlaid eggs. It can have the wrong effect on PR, which also only really makes sense when we’re dealing with some kind of publication. The estate archives are very helpful, but most of my work requires thorough research. Anyway, I understand that it was only at the end of 2006 after some years of working on the project that the footage and audio were matched and completed – how long did the restoration actually take and was it very arduous? PG: I started working on the film in the fall of 1999 with the support of several partners. Unfortunately, a small label decided to release a partial recording of the show without asking for rights in December of 99. My contracts became useless after that. The recording was awful, it was missing a good 40 minutes and it began with one of his later attempts to start from the beginning which was with a very different voice. I then decided to take my time until I could restore a complete audio recording. DDS: It must have been terribly exciting to track down the film to go with the audio track after so long? PG: You’re mistaken in your assumption that the whole evening was filmed. The footage was actually taken in order to promote the international leg of his tour. There was never an intention to shoot the entire show. They didn’t even shoot the beginning or the end of his performance. So I essentially had 135 minutes of unrelated and silent footage from 4 different cameras (many of which were shooting simultaneously) to work with. Realistically speaking, it should have been impossible to recreate the evening out of this material. Everyone I spoke to at the time, urged me to sell the clips to TV. In addition, I wasn’t willing to cut even a single word of what was performed on stage. I also think that is why the film works. The audience follows the original and complete audio recording of the first part of the show without realizing that much of footage they are seeing doesn’t even belong where it has ended up in my cut. I had to manipulate about 30 minutes of the film. This has lead to some confusion. For example at the Lisabon film festival, people praised the cameraman for “deciding” to shoot the audience during the crucifixion part of the performance. It’s great that the film is perceived by many as a cult concert film. I guess I got the job done, since everyone thinks it was recorded just like a modern live concert. DDS: I know that in previous interviews on this subject matter you have said something along the lines of how it is wrong to believe that Kinski identifies himself with Jesus but interestingly Werner Herzog said he turned up on the set of Aguirre talking as if he was Jesus! PG: Kinski obviously always identified himself with larger than life characters, Jesus included. What I said was that he was not trying to be or play Jesus that evening, which many criticized him for. Herzog was probably talking specifically about a scene in “Aguirre” in which Kinski delivers a single word which he most likely borrowed from Jesus Christ Saviour: “Hinrichten!”, which means “execute!”. DDS: This is not the first time I have heard about Klaus taking on the characteristics of a previous role, becoming the temporary embodiment of the character – apparently when he turned up to film Lifespan, he was talking with a thick Mexican accent which I guess was because he’d just been filming Shanghai Joe . And he said himself that he was Paganini etc, so do you think that there was not even a small part of Klaus that identified himself with Jesus? PG: Just like with Paganini, Beethoven, Kean, Nijinsky and all the others he wanted to play. He identified himself with legends, wanting to be one himself. DDS: For me, the scene at the end, which has been described as having a Woodstock feel to it, is totally about being Jesus-like. Like Jesus, throughout the show Klaus could not get his message out; he was derided; people argued with him and refused to listen. And like Jesus he had his “followers” or disciples, who had come to listen to him and wanted to hear what he had to say – those people who waited until the early hours to hear Klaus out and sat there patiently listening to his reworking of the Bible, they are like the faithful few who “believed” Jesus, don’t you think? 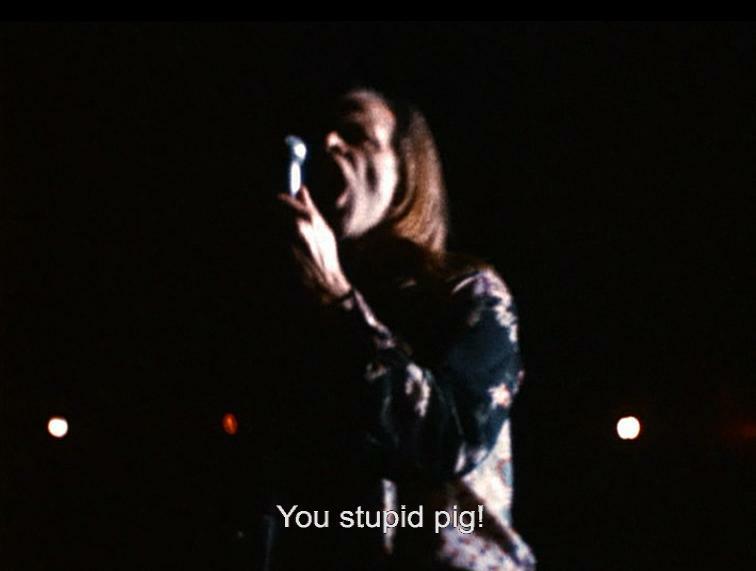 PG: The Woodstock comparison came from Kinski directly, in his book. Most of the people you are talking about at the end of the film are probably being shot during one of the many intermissions, they’re not really listening attentively to anyone, they’re just bored. This can look rather similar. DDS: Klaus also said that he knew the Bible off by heart – I can totally believe that as he obviously had a great memory for texts with all of his incredibly long recitals. He must have been one of the true greats in German theatre and performance – do the German public appreciate him for this? PG: His mother was the daughter of a priest, and he was apparently quite familiar with religion. One can see this influence in the poetry he wrote in the beginning of the 50’s. His memory and voice on the other hand were the results of intense training. In the German public awareness, he is mostly known for his scandals. Then for his Edgar Wallace and Herzog films. The recitations are unfortunately lesser known. DDS: After being in Rome for so long, was Klaus hoping that the Jesus Christus Erlöser show could re-establish his reputation in Germany? The promoter was obviously confident that the money would have been recouped from these shows, so it’s evident that the possibilities were considerable. 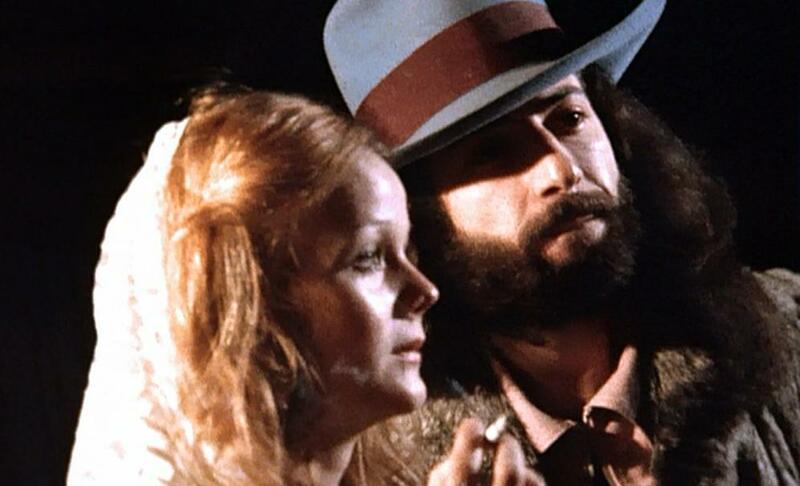 PG: He was quite broke at the time, as was the Italian film industry. What was he to do? He was desperate enough in 71 to sign a contract with Herzog who he had consistently turned down (according to the actor Herbert Fux). DDS: I understand also that the German rock group Ihre Kinder were supposed to be accompanying Klaus during the performances but somehow this did not work out – do you know if there are any recordings of their rehearsals out there? It would have been interesting, I’m sure. PG: You should ask Sonny Henning for an interview. He told me about the sessions which sounded like a good time. But apparently there are no recordings. DDS: I have read a couple of times that Klaus was one of the first to use the tabloid press to his own advantage – but he was dogged by scandals even from his early days in theatre, wasn’t he? PG: Like I already said, he was searching for a way to escape the dictatorship of the theaters and the cultural press. He even wrote his own reviews for a while. But only the yellow press was willing to assist his self orchestrated PR strategies. DDS: And he also exaggerated some of his own stories and, notoriously, in his biography included scandalous stories about himself which probably were not even true (let’s hope not) – why did he do this, do you think? PG: People, who exaggerate their stories do so in order to present an exaggerated version of themselves. 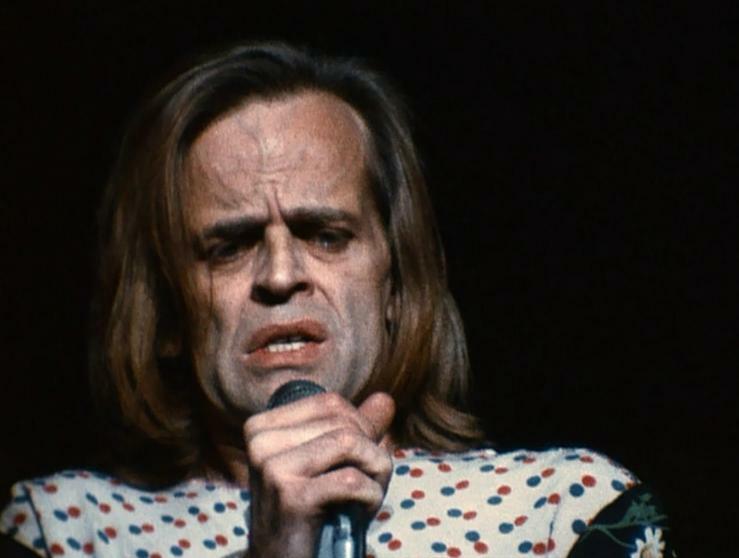 And Kinski had learned early on from the yellow press that a fake suicide attempt garnered more attention than being normal. He also wrote to earn money. DDS: It’s difficult to understand why when he was already leading an incredibly exciting lifestyle that he had to make up stories about himself. PG: In 1975 he was still suffering from the end of his career in Rome and he tried to build a new career for himself in Paris where he no longer lived in excessive luxury. DDS: Between Werner Herzog’s stories and Klaus’s stories it is hard to tell what is real and what is fantasy – I know Klaus said of Herzog: “I like his stories, but the truth is better.” But he didn’t always tell the truth himself, so it’s difficult to understand! Do you have any insights to share on this? Unfortunately, no English subtitles on the German interviews for us English speakers, but there are German subtitles on the Jay Miracle interview for the German speakers. Lucky! If anyone wants to tell me what the German interviews are about I would be delighted to hear as I’ll be getting the DVD anyway and I want to know why Klaus is expected to discuss what to do about a dripping tap and what this dirty talk business with Alida Gundlach is all about – these interviews sound great! This entry was posted in Interview and tagged Alida Gundlach, Ihre Kinder, Jay Miracle, Jesus Christ Saviour, Jesus Christus Erloeser, Kinski Talks 1, Kinski Talks 2, Klaus Kinski, Klaus Kinski Estate Edition, Loriot, Peter Geyer, Sonny Hennig, Werner Herzog. Bookmark the permalink. Wonderful interview! I have to get hold of these DVDs. I have been an admirer of Klaus’s recitations ever since I heard his rendition of ‘Schwarze Puppen’. By the way, here is a Klaus-themed animation/storyboard (I don’t know what to call it) film I made last year: http://www.youtube.com/watch?v=jXy7wyzhLz8 I like to share it with fellow KK fans. Thanks for this. I like your article very much and will definitely email Mya to ask for subtitles on the extras – I hope that anyone else reading this will do so too. I’ve mentioned this before about the Kinski Estate DVDs too – it’s such a shame that there are no subtitles and not even “German for the hard of hearing titles” because this would help me in the absence of English subs. I understand the expense involved but it would definitely create a wider market for sales. Also, my major gripe is dubbing – I’ll go for dubbed versions where no version with subs exists but I absolutely hate hearing someone else speaking Klaus’ lines!